The Main Event of the World Series of Poker is heading to its Day 5 after an knotty weekend. Of the 6,420 poker players who part took in the battle, only 237 survived at the end of Day 4. That pack actually includes two recently crowned WSOP champions. Crushed, 424 participants failed to capitalize their dreams to hit the Main Events top prize of $ 7.6 million when Day 4 met its end. 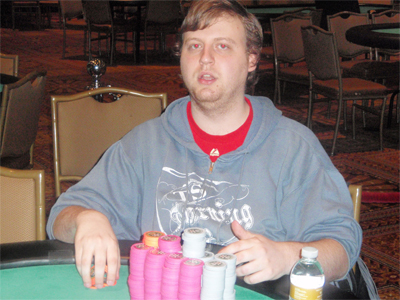 Joseph McKeehen bagged up the chip lead at the end of the day and is now heading to Day 5 with confidence. McKeehen possesses 3,122,000 chips, ahead of Upeshka De Silva with 3.067 million chips. As a reminder, two weeks, De Silva won ago his first bracelet by topping 1,655 players at the $ 1,500 buy-in NLH event (Event #45). He earned $ 424,577. Erasmus Morfe sits on 3rd position in the chip count with 2,502,000 chips. He is listed as the tournaments favorite runners with his two recently-won bracelets. Brian Hastings wrapped up the day in 4th position with 2,464,000 chips, followed by Thomas Cannuli (2,271,000) to complete the Top 5. There is a panel of notable players among the 237 survivors. Include the likes of Daniel Fuhs, Matt Jarvis, Justin Bonomo, Daniel Negreanu, Antonio Esfandiari and Kelly Minkin. Needless to say, the whole pack is guaranteed to leave the room with a minimum payday of $ 34,157. As for those stars of poker who saw their runs cut at the end of Day 4, the list includes JC Tran, Phil Hellmuth, Phil Laak, Joe Hachem and George Danzer.